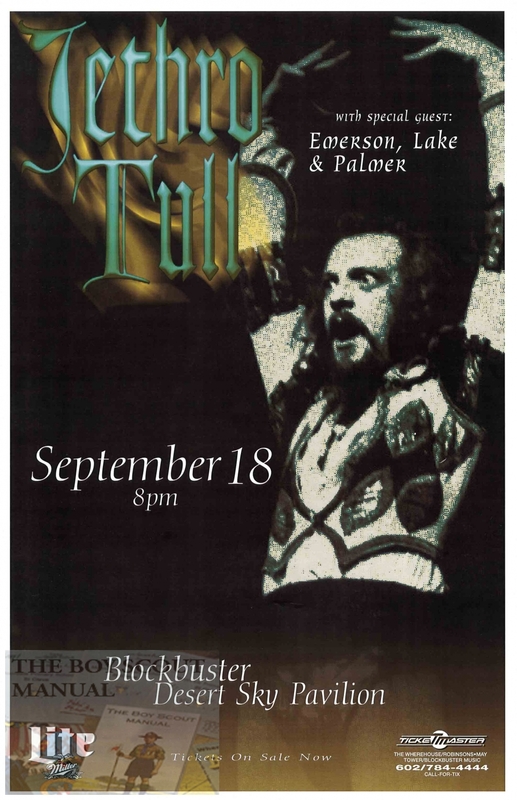 Ian Anderson is best known as the voice and flute behind rock band Jethro Tull. He has created 6 solo albums over the last 29 years culminating in the 2012 record, TAAB2. along with the original Thick As A Brick from 1972. 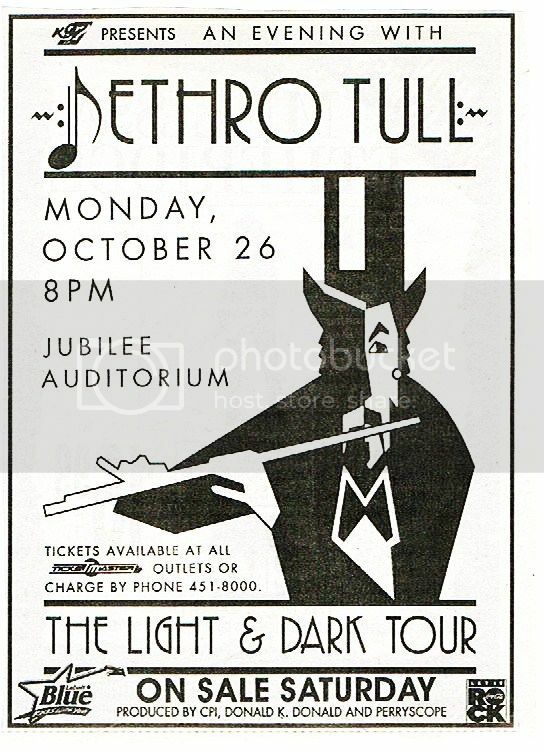 The Rolling Stones also played in Atlanta on this date, which probably split audiences! for their attendance. Free copies of 'Aqualung Live' ran out rather early. 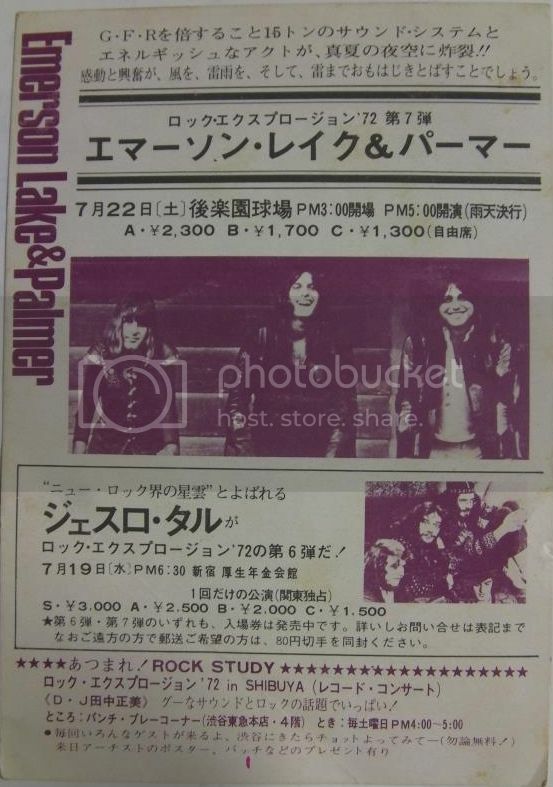 Thanks to Yuuji Suzuki for posting it via Keith Emerson. Sweet thread, that Japanese tour program is incredible, thanks for taking all of the pictures, this is good stuff! The Japanese programme is a large format programme, and so at that time I had to rely on photographs, as well as doing some changes to the back office of the manual we now have a couple of A3 scanners available to us and so proper scanned images will be added to the Manual very soon. Very rare promotion for "Too Old to Rock n' Roll". AWESOME. Is this the same performance seen on video before? I seem to remember something different on The Midnight Special clips from '76. It is the TOTRNR show that has the band playing what looks like a backstage TV studio, Ian with the pram and guitar opener, the washing machine etc being dragged behind him on a pallet, the band camply dressed up for crazed instution etc. 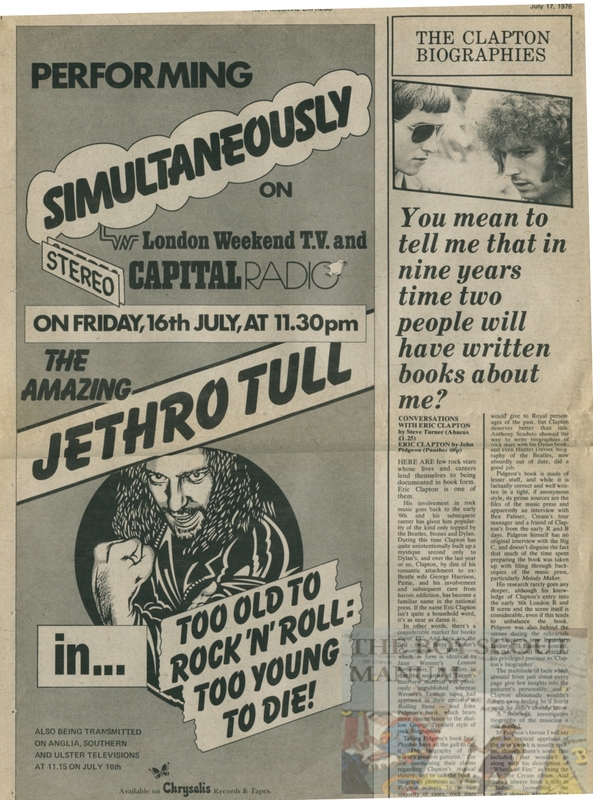 The difference was that in the London region it was a simultaneous broadcast in stereo on capital radio, an independent radio station. The downside of the TV show was that it was also on a commercial TV channel. just need a bright spark to wire it up to a DVD burner and we're hopefully away with a decent version. Wow! Rare and precious video is worth the effort to preserve on DVD. Great video! thanks. I like that each member gets alot of camera-time, especially MB. Very intriguing vid......sounds almost like Ian is singing "live" at times and thar MB is playing "live"also. I really dug this album. 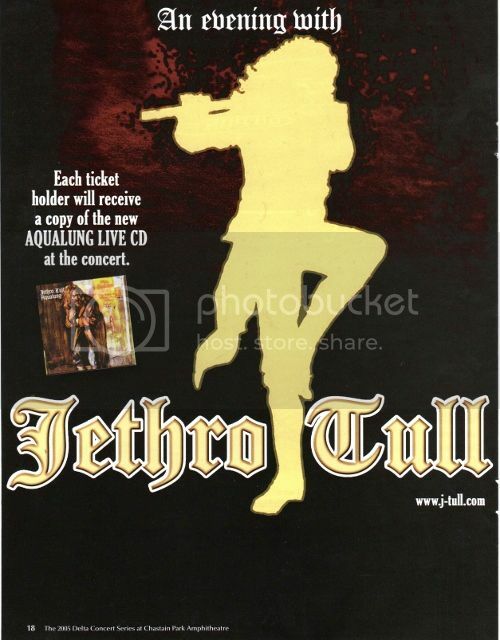 Saw Tull in summer of '76 at Shea Stadium (Tull-A- Vision)....only area show that year. Hated seeing them in a stadium! seats so far away and all we got to see was the giant screen and Ian mugging for the camera constantly. They only played the title cut and "Crazed Institution" from the album. Remember Ian introing "Crazed...." by taking stabs at Elton John & Rod Stewart haha. Totally spot on! I agree with you there. He is extremely talented with his expressions, but it is too much sometimes. One of the reasons the work of people like Darin Cody and TullTapes are so appreciated, im guessing. ....Why Should I Listen To Other People's Music ? Nice article, haven't seen that before. Interestingly within 2 short years, Nick Logan would be one of the architects of Tull's fall from the critic's grace. 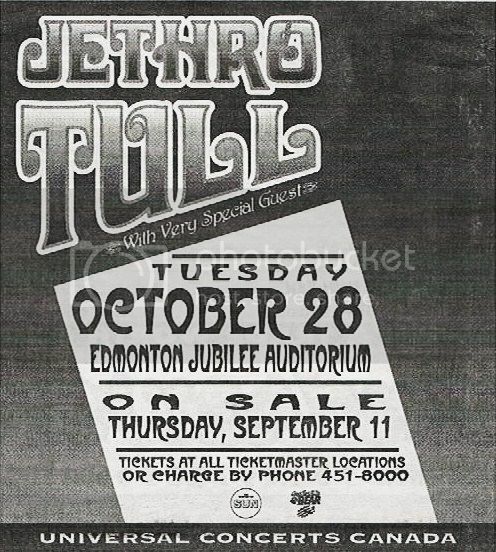 Terry Ellis announces Tull to retire from live performances. On tour with special guests Emerson Lake and Palmer.